Solihull Business Park is situated in a prime location 1 mile from Junction 4 of the M42 motorway, and is accessed via the A34 dual carriageway. Developed in partnership with Wrenbridge, the business park comprises a mix of Grade A offices, retail, industrial and distribution facilities. 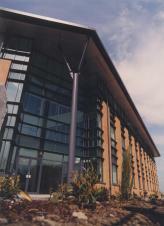 Solihull Business Park was sold to IM Properties in June 2013.